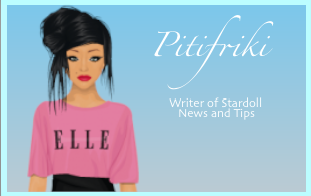 Stardoll News and Tips: Hottest this week on Stardoll ! Hottest this week on Stardoll ! I think this week was awesome :) I loved the new Callie's Picks and Valentino Tribute . The new contest is great too but it is Royalty Exclusive . What was your favourite thing this week ? Love it. I can't wait for more of your posts!